Who wouldn’t want to get paid to play Fortnite? Ashland University just recently began competing in intercollegiate esports, but it’s taking a big leap forward by becoming the first school to offer a Fortnite: Battle Royale college scholarship this fall. The esports scholarship was originally announced at the university in February, when Ashland revealed plans to create an esports arena and an area for practice and competition. The scholarship offers players $4,000 worth of tuition to join the program and compete on a squad that represents Ashland University. Ashland will be arranging a team of four to compete in Fortnite regularly with the hopes of the squad competing together for a long period. Although there’s no collegiate league for Fortnite yet, Buchanan hopes to see one in the future. 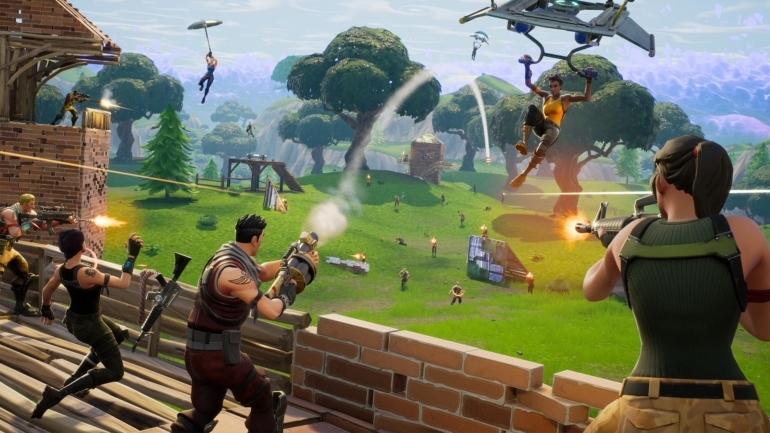 “The growth of Fortnite has been astounding to witness and getting players into structured practices ahead of the launch of a collegiate league will be extremely beneficial to our program,” Buchanan said. Anyone looking to join the university’s esports team will need to fill out a recruitment form. Ashland’s head coach will then send an email to prospective players with more details. The Fortnite esports scene is definitely in its infancy, but the future looks bright for this popular game.